Mrs. Fillard with her husband and children. Mrs. Fillard and her husband at the ASCA School Counselor of the Year reception. 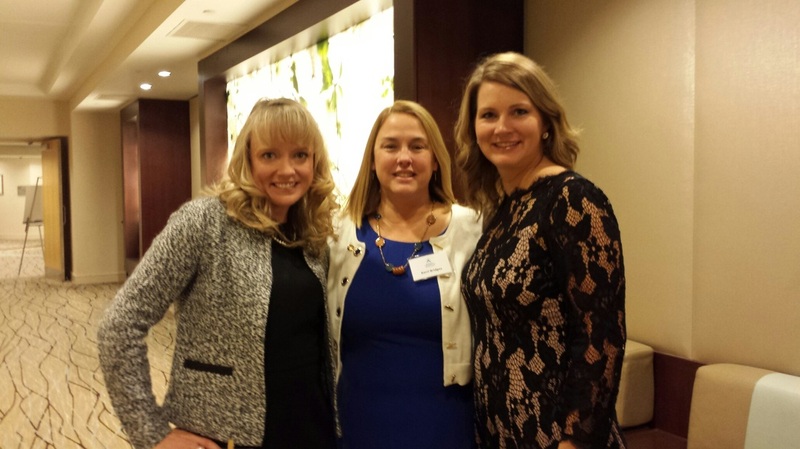 Mrs. Fillard and two fellow WCPSS School Counselors being honored as National Semi-Finalists for School Counselor of the Year. Lisbeth Fillard is from Clemmons, N.C. and now lives in Fuquay-Varina with her husband, 4 year-old daughter and 2 year old daughter. She has been a counselor in North Carolina schools for 14 years, and is excited to be at Middle Creek Elementary for a seventh year! She received her undergraduate degree from Meredith College in psychology and K-6 education. She then went on to earn a master's degree in counselor education from N.C. State University. Mrs. Fillard's professional honors include being a Nationally Certified Counselor, a National Board Certified Teacher in the area of school counseling, and having served on the board for the North Carolina School Counselor Association (Elementary Vice President 2006-2008). In 2013 she was awarded Wake County Elementary School Counselor of the Year, as well as being selected as the North Carolina Elementary School Counselor of the Year by the North Carolina School Counselor Association. She was also honored as a semi-finalist for the national School Counselor of the year, and was honored in the White House by Michelle Obama! Mrs. Fillard typically hosts interns from UNC Chapel Hill, Liberty University, NC State and Meredith College. We are happy to help these students be career ready to join the ranks of future school counselors! Sally Geyer from Meredith College is interning with us currently.